How, then, to say goodbye to a collaborator, colleague, and companion of 25 years, someone with whom we made music, sharing good times and bad, season after season, adding up to a full third of man’s biblical lifespan? What appropriate, meaningful words can come forth, even as we struggle with our tears and our grief, to evoke for others essence of Donnie’s kind and tender soul? He was a man of almost angelic purity. Candid and naïve almost to a fault, held back from the start by problems of education and upbringing, he wanted, despite significant inner handicaps, to go forward towards life and to give his existence meaning. And he did indeed forge a path for himself, realizing his ambition to be a performing artist, and giving enormous pleasure and consolation to countless others via the beauty of his voice. To cite a line from the American songbook, a repertoire that Donnie treasured and recorded, he did it his way. There was a nobility to his existence, and I am humbled as I contemplate, insofar as I perceive it, the arc of his life which sadly ended yesterday. You heard that round, warm, tender singing voice, onstage and via recording, and reveled in its author’s solid, confident musicianship, in his authentic and appealing personal presence. Did you know, however, that Don’s training was as an electrical engineer, and that he spent years working in a large corporation before deciding that music was his true calling? He told me once that his family had strongly counseled against his career change. Yet he persisted, leaving secure employment, and braving, at the start of his new professional life, genuine hardship and financial stress. He took a big risk, and he succeeded, becoming a property owner in his personal life, and a reliable and welcome part of the Boston-area musical scene. And none of us, in a field known for its competitiveness and occasional cruelty, ever saw Don, as he rose to widespread acceptance and appreciation, show anything but good will and respect and frequent affection to his colleagues. “He didn’t have a mean bone in his body” is the refrain I have heard echoed from several corners over these last days. He indeed did it his way, but his way, so remarkably, included remaining a gentle soul, always and forever. And his utterly extraordinary purity of being was unclouded by any trace of pretentiousness, posturing, self-promotion, or self-righteousness. What you heard from the concert hall stage, as Donnie’s rich baritone rang out, was an affirmation of life and, also, a declaration of love for creation itself. As far as I know, he, though a church musician, was himself unchurched; and so I believe that his singing was the most intense expression of his genuine and authentic spirituality. We also saw this offering of love, and this search for love, in his other activities and passions. So many of us learned from, and enjoyed, his intense devotion to the world of birds, his forays with binoculars into forests, swamps and marshes — some of us occasionally accompanied him to those places — and, after every tour to every continent, his inevitably long lists, circulated to one and all, of every winged creature he had managed to spot. We were awakened to the world of birds via Don’s enthusiasm, and our sense of awe at the diversity and richness of the universe was increased immeasurably. He was an enthusiast about the things that were important to him. He also loved 1950s crooner records, “I Love Lucy” memorabilia, celebrity autographs, and old board games. And Scrabble. And the ocean. And, oh yes, his adored kitties. What an admirable appetite for existence! I am so sorry for the numerous sorrows he underwent, for his failure to find a lasting, significant other, for the suffering engendered by his final disease. But his existence had meaning; even though it was too short, his was a rich life. He shall continue to live in our hearts for the light, the air, and the beautiful music his time on earth engendered. The angel took risks. He brought goodness into the world. May our friend Donald Wilkinson rest in peace. Joel Cohen is director of Camerata Mediterranea and music director emeritus of The Boston Camerata. He likes opera, sometimes. Beautiful, Joel. Rings absolutely true. The best imaginable tribute to this wonderful, complex and beloved friend and colleague. We are grateful for these loving words. Thank you, Joel! What a very loving tribute to a long-time friend and colleague. Don was special and I am grateful to have been his friend. Thank you Joel, for not holding back the hardships and sorrows of Don’s life. No picture can be made without the negative, thus you have offered a realistic picture of Don. Moving, accurate, and honest-Donneould be proud of this! This is one of the most beautiful and fitting memorials written. I met Don, the neighbor of my daughter and son in law. Our family fell in love with Him immediately. We loved talking politics and commiserating or celebrating, depending on the time. He sang generously at our gatherings with his stunningly beautiful voice, he enjoyed my grandchildren and they, him. Don loved my daughter’s gourmet cooking and she fed Don-often. The two had a special friendship. I often watched and listened in awe of their mutual language. Always filled with compassion-always. When we received word of Don’s passing, I said since meeting Don, I notice birds in a different way. I once told him he reminded me of Saint Francis of Assisi. There is truth in that comparison for challenges found both, yet they both touched so many of our lives. RIP, precious Don. We love you. I love you. And you will forever remain in our hearts. I knew Don as a good friend, fellow birder, and enjoyed him as a performer. When he started Don Wilkinson Birding Tours, myself and another birder were on his maiden tour to Florida and the Keys. His birding ear was excellent- no surprise there- as was his identification abilities. I went to CA with him as well as local favorite spots. He was a gentle, compassionate man with a great sense of humor! I was honored to be his friend and I will miss our conversations. May Don Rest In Peace! I knew Don as a good friend, fellow birder, and as an admirer of his singing. When Don started Don Wilkinson Birding Tours, myself and another birder were on his maiden tour to Florida and the Keys. He had an excellent birding ear-no surprise there- as well as visual identification skills. We traveled on several out of state trips together as well as local spots. He was a compassionate and gentle man and will be sorely missed. May you Rest In Peace, Don! What a beautiful tribute to my brother. I was blessed to be his his little sister. I was blessed to attend The Nahant Music Festival a few years back. It was our first time seeing each other in 36 years. It was an amazing day that I will never forget. He was such an amazing brother and friend. I love you big brother always. He is now hanging out with our dad. Nahant is a small town. It was inevitable that we should meet. I produce a chamber music series at the Ellingwood Chapel and I also love birds. We had shared interests but Don was utterly immersed in those interests and fully explored each of them. I helped him arrange his first concert at the Chapel and, for the last five years, supported his Nahant Music Festival. From the local coffee shop to St. Thomas Aquinas Church to bird walks he led on our beaches and on the Nahant Heritage Trail, he face would inevitably brighten whenever he encountered a fellow traveler along life’s short path. And he wanted to see yours brighten too in return. I’m sure we all wish we could have made him happier. And he would want us to take that sentiment and apply it to others. It would be a proper way to honor him and thank him for his presence among us. Thank you for such a wonderful tribute to Don. He was truly one of a kind. My love of all birds came from hearing Don talk about them all the time. Flying high with those birds he loved so much. He was one of the gentlest people i have ever know. His voice was so beautiful and i know he is singing with the angels in heaven. Us here in NC. They will have a new brother and sister to play with and lots of land to have fun on. To run and play on! He was truly a special person and will be missed by all who knew him. What a beautiful piece, Joel. Thanks for writing this. I didn’t meet Don until 3 years ago when he sang “Abduction” at Emanuel. I was smitten, and we talked and he invited me to hear his Nahant Music Festival, which I got to review two times. He struck me as an extremely nice, generous, and thoughtful person. What a loss. My deep condolences to his family and many friends and admirers. This is one of the most beautiful and fitting memorials written. I met Don, the neighbor of my daughter and son in law. Our family fell in love with Him immediately. We loved talking politics and commiserating, or celebrating, depending on the time. He sang generously at our gatherings with his stunningly beautiful voice, he enjoyed my grandchildren and they, him. Don loved my daughter’s gourmet cooking and she fed Don-often. The two had a special friendship. I often watched and listened in awe of their mutual language. Filled with compassion-always. When we received word of Don’s passing, I told my daughter that since meeting Don, I notice birds in a different way. I once told him he reminded me of Saint Francis of Assisi. There is truth in that comparison for challenges found both yet they both touched so many of our lives. RIP, precious Don. We love you. I love you. And you will forever remain in our hearts. My condolences to Don’s friends & family! I was so sad to hear this news. I only met Don a little more than 4 years ago when I signed up for my very first birding walk. He made my first experience birding quite memorable! I had gone on a few more trips around Essex County and also Nahant with Don as well. He always shared many peaceful places to bird and his knowledge of birds with much passion! His excitement was contagious in the field and would rub off on anyone that joined his walks! I am grateful to have known him! Fly high Don! What an artist, and a true gentleman. And what a terrible loss for us all. And thank you, Don, for being both of those! Thank you Joel for such an outstanding tribute. It helps with the heartbreak. I was blessed to have known Don for about 12 years. I was a cantor with him at St. Thomas in Nahant. Beloved Father Curley in 2016. He did not want me to go alone. His extraordinary aura and charm. I studied voice with him that Summer. After our lesson we would have lunch in his backyard or at Tides and walk the ocean. I truly loved Don for his kindness and gentle nature. What beautiful tribute to a wonderful colleague, person, and friend. I met Don when we were teenagers after he moved to Beverly. I liked him immediately. The most precious moments were when he would sight-read/play the piano. His musical talents were amazing and captivated me like no one else. His voice, beautiful. 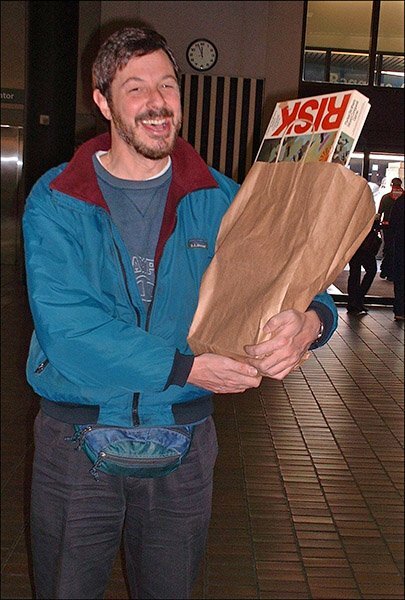 His sense of humor was infectious. Such a sweet and gentle soul. It breaks my heart that he left us much too soon. So much life ahead of him. Wherever you are, Don, know that you made the world a better place by your mere presence. This beautiful tribute goes right to what Don was all about. I only got to know him well after and, in part, because of his terminal illness, which he handled with remarkable courage and grace. His performances at Emmanuel during this final, very tough year were deeply moving. Thank you Joel, for this gorgeous tribute to such a beautiful musician and human being. Such a sad loss. Thank you for sharing. Thanks, Joel for that beautifully written tribute to Don ! I only wish that I had known him better ,but the few times I was able to sing with him are indelible to me – his humanity ,artistry and ability to communicate shown through ! Now in heaven with the “Birds of Paradise”- RIP ! Thanks Joel for writing such a terrific tribute to Don. 25years? It must be more. Don was already with Camerata when I joined you and that was 1995. Time spent with Don will never be forgotten and I am proud to have known him. The world has truly lost one of its Angels. 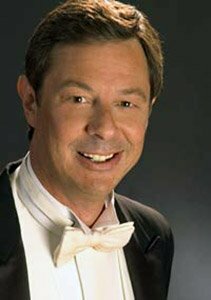 I only heard of Don’s passing today because of a notice in the Boston Musicians’ Association “Prelude” online newsletter. I used to play bassoon as a substitute for Emmanuel Music several years ago and was lucky enough to have performed with Don several times. He was always friendly and nice…not something one can say about all our colleagues. During the past handful of years, I began wondering how Don was doing from time to time. I missed his ready smile and he always seemed to make a point of saying hello to me and chatting for a bit. I just assumed our paths would cross again at some point. Thank you, Don, for sharing your wonderful voice and for being a truly nice person. Rest in peace, dear Don. Our hearts are broken; but we are happy to have the memories of your beautiful baritone voice ringing out in all our churches and concert venues. Remembering your lovely ensemble singing with our mutual ‘singing birds’, Trudy and Maria;…also the beginnings with the Paul Madore Chorale. We will always continue to sing your praises; and will honor you at SummerSing next summer. I had the pleasure of working with Don on his CD ‘Classic American Songs’. It was a pleasure and honor to compliment his warm & luscious voice with a few strings of my guitar. He was always kind and curious about music, life and birds. I’ll miss visiting and hearing him sing. Thank you for the nice remembrance. I grew up with donny, my father and his mom were together for many years , we lived in beverly and had many great memories with all of us kids 5 to be exact in all. Memories of the beach and boating at my grandfathers house in danvers,to watching don in the beverly parade with the high school band marching down the street. I remember don loved hackey sack, he used to teach me how to play and arubics cube he loved, we had some fun times expecially our family vacation to marthas vinyard when they were filming jaws. I will miss him as will our family. We had alot of great memories i cant even begin to list cause here isnt enough room , rip broher and know we will all miss you , your sister Kristine. Today is Thanksgiving in Canada. I give thanks for Don and for all his dear friends and colleagues, some of whom I’ve known over the years. We only worked together a few times. Though I’m from Boston, I was never really one of the Boston singer crowd. A gentle soul, with a smile and a joke, and a really good instrument, too! That’s how I remember Don. Warm greetings to all who read this. I am both saddened and cheered by this lovely tribute to Don. We were close friends for a time as younger men finding our footing in Boston’s musical scene, and there were car trips to Marlboro and other gigs. Eventually, he put down roots in the region, and I left for other adventures. As the years went by, we faded from one another’s view as our lives took their separate paths. Yet I was in Nahant this past summer for a festival concert, and hoped to see him, only to hear from him that he would not be around much. I only learned later of his illness; a missed opportunity, indeed. Condolences to all who care for him.